Highlights from the opening race of the 2019 World Triathlon Series from Abu Dhabi. 2018 champion Vicky Holland is in the starting line up alongside Georgia Taylor-Brown. 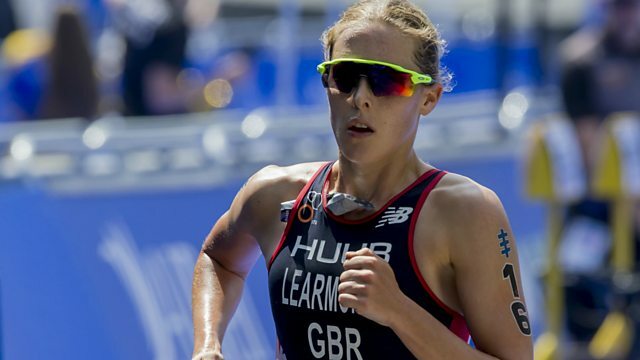 Louise Minchin presents highlights from the opening race of the 2019 World Triathlon Series from Yas Island, Abu Dhabi. British representation is strong with 2018 champion Vicky Holland in the starting line up alongside Georgia Taylor-Brown, who finished third in last year’s standings. In the men’s event, 20-year-old Briton Alex Yee recently claimed his first Triathlon World Cup victory in Cape Town and hopes to challenge the dominance of defending world champion Mario Mola of Spain. The latest triathlon news, plus results, schedules, video, comment and analysis.